The rising tide of multi-culturalism, which for some is a threat and for others a good thing is most evident in the Americana of the day. 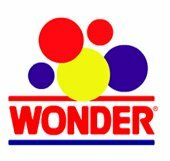 Wonderbread, a noted favorite producer of baked goods and mass producer of America's favorite white bread, has decided to put out a line of all wheat bread to suit a growing number of people who either refuse to eat white bread or prefer wheat bread in the various meals etc. The plan to produce a wheat version of the popular bread is designed to revitalize the Interstate Bakeries Corporation, which has struggled due to the market demanding low carb diets. One cannot help but wonder if the bread will be just as tasty as the original, Wonderbread seems to think it will. This, however, waits to be seen. But no matter how this turns out, I am still allergic to all wheat. Either way, I'm screwed.